Here cricplay are back with refer and earn and you have to refer 5 friends and you will get Rs.300 BookMyShow Vocuher for Free. 1. First of all download CricPlay From HERE. 2. Click on Get The App and it will redirect you to play store. 3. Install app and just Allow all the permissions. 4. Sign Up and Enter your Mobile Number. 5. Verify your Mobile number with upcoming OTP. 7. You’re Done now, you will redirect to the dashboard of the app. 8. Now Create a Team for upcoming matches using your coins to be eligible to get Rs.300 BMS Voucher. 9. Now Move to My Profile and Share your Refer Code with your friends. When your friend will Join under your Link and Create a Team then you will get Rs.300 BMS Voucher. 10. 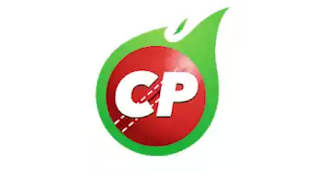 You will be eligible to get BookMyShow Discount vouchers only if your 5 friends register on CricPlay app using your referral code and create a team in cash/mega contest today. Your friend should not have registered on CricPlay before. You can win maximum 1 BookMyShow discount voucher. BookMyShow discount voucher will be sent to winners via SMS by 26 May.